Voice search is no passing fad. How Do People Use Voice Search Today? Voice search started out on mobile devices (Siri on iPhone, OK Google on Android), but thanks to the massive adoption of smart speakers for the home and IoT-connected operating systems for cars, hands-free web search has been gaining momentum. Google Home, Amazon Echo (Alexa), Microsoft Cortana, and Google Assistant are just a few on the growing list of devices or systems that make voice search possible. This good thing does create some challenges for marketers, however, as devices deliver results differently from each other. In the long run, marketers will need flexibility to optimize for all the different systems out there, but for now, focusing on the behemoth (Google) is a pretty safe bet. Voice search user base is growing fast, although it seems that only a few use it as their main method to search and get information. 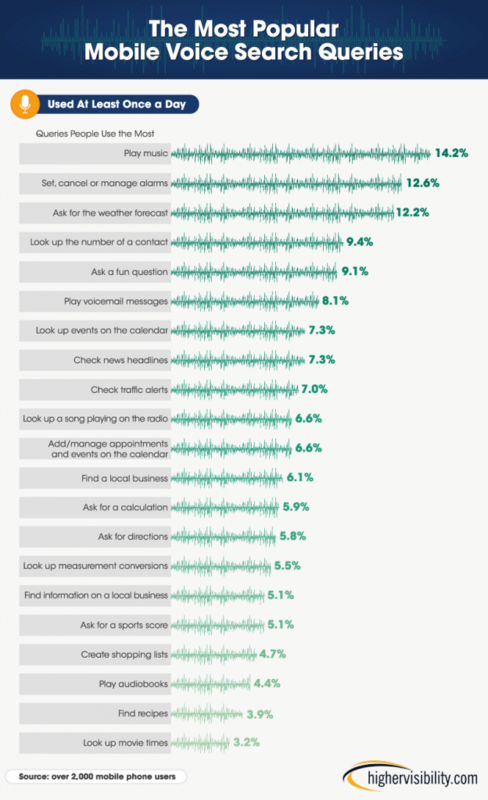 HigherVisibility did some insightful research into voice search’s various use cases, and discovered it’s popular in very specific situations, like driving or multitasking. It makes sense that lots of people would turn to voice search when typing is difficult or impossible. Beyond driving, there are plenty of valid use-cases like this, such as when people cook, exercise, take a shower, juggle their kids, or do other hands-off activities. 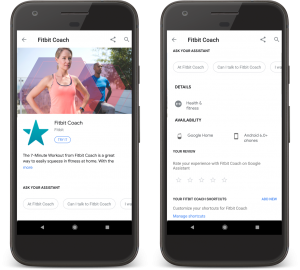 Keep in mind the different ways people already use voice search today, then start considering how your business/website could be positioned to answer natural language questions. 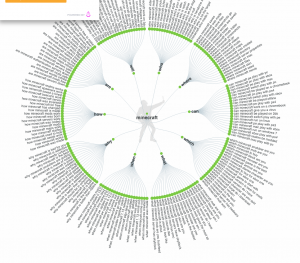 Other niche sites may need to brainstorm how they can optimize for fun/trivia questions, AMP news articles, or other voice query use cases not mentioned above. The great news is that you probably don’t need to create special content just to optimize for voice search. Most results didn’t have the exact search query in their title tag. The average voice search results were only 29 words long. However, the average word count for the page the result came from was 2,312. That suggests Google’s sourcing precise answers from the same quality long-form content marketers create to optimize for SEO anyway. So you don’t need to create special pages keyword optimized for specific voice queries. Simply provide enough context that Google can extract the answer from your existing content. So continue writing in-depth, valuable content for SEO, just make sure it offers a precise answer to specific questions voice searchers might ask related to your content. Again, you’re not looking for new long tail keywords to focus on necessarily, just questions you can optimize answers for in your existing content. Most importantly, the content of the answer must meet the information needs of the user. This can be a challenge with verbal language, since people can use the same language to ask a question while expecting different answers. B: A definition of the office of president. In this instance, most users are probably looking for answer A. Your job is to optimize your content provide the answer that most users are looking for. Since users can’t scan spoken responses like they could for written answers, it’s very important to ensure responses don’t provide too much or too little information. When someone asks: “Who’s the tallest man in the world?” the response “Robert Pershing Wadlow” would be too short. That’s because most people probably want to know exactly how tall he is, in addition to his name. Your job is to provide all pertinent information people would want to know without being too wordy. The spoken answer must also be grammatically correct. Responses that sound ungrammatical when spoken or aren’t a complete sentence would have bad formulation. Reading your content out loud before you publish it can help identify grammar issues. Spoken answers must have proper pronunciation and prosody. For example, when someone asks: “What’s the world population?” and the answer is “The population of the world is 6,999,999,989” it would sound very tedious when spoken aloud. Instead, the number should be rounded. 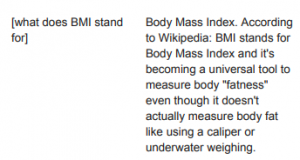 You can see more examples of good and bad query results from the search speech guidelines themselves. When evaluating your content, look for ways to ensure your answers are well optimized for the needs of voice search users. Schema markup is a kind of semantic vocabulary you can use on your site to tell search engines what your content is about. It’s good practice to use schema for SEO in general — the more understanding Google has of what your content is about, the better it will be at delivering it as a relevant result. The verdict’s still out if schema markup truly has an impact on voice search results. Backlinko’s research found that only 40.7% of voice search answers came from Featured Snippets. Regardless, schema markup is worthwhile to use to increase your chances of appearing in voice search results. Google Home can only access recipes, for example, if the publisher has used structured data markup. 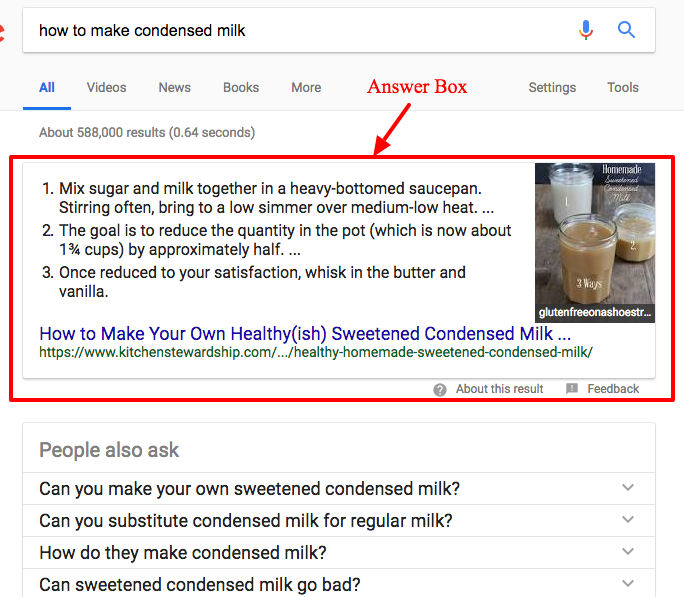 Not only does the Answer Box appear at the top spot in search results, it could be read aloud for voice search. Google actually makes it easier to optimize for voice when you create “Actions” through Google Assistant. Actions are things people can ask to interact with your content by asking Google Assistant. If you publish recipes, podcasts, or newspapers, have structured data markup and Accelerated Mobile Pages (AMP), you can create Actions. 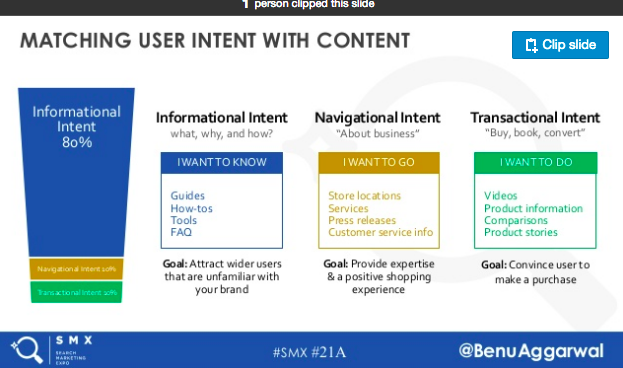 Google provides detailed instructions on how to do this for different kinds of content. You can also get more visibility by creating your own apps using Dialog Flow. Users don’t even need to install your app in order to use it through Google Assistant. Creating an app and getting it listed can also help improve visibility as Google Assistant may suggest it when users ask related questions. Backlinko’s research also identified some other important rank factors that matter for SEO overall, such as HTTPs and domain authority. But Page Speed in particular appears to be even more important for voice search results. Prioritizing page speed for voice search makes sense, considering that searchers have no visual touchpoint once they ask a question. They have no idea that a page is loading, and silence is the last thing people want in response to a voice search query. 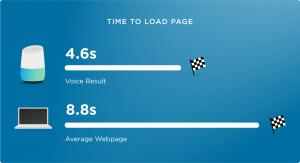 Since Page Speed has long been an important rank factor for SEO overall, it’s best to ensure all your pages, not just the ones optimized for voice search, are running as quickly as possible. Create AMPs when appropriate, and take other steps to improve site speed. Google’s Page Speed Insights tool is a great place to start. Thanks to algorithm updates and changing access points, search engine optimization is an ever-changing art. Just a few years ago, optimizing content for desktop and mobile devices was all marketers needed to worry about. Now there’s a third element: voice search from various devices. Beyond the technical tips mentioned in this post, it’s best imagine every context your website/business can be helpful to users from verbal search. Optimize your content to serve that purpose, and Google will do the rest.